We are writing this letter in response to Liron Velleman’s article ‘The Death of Israel Apartheid Week on UK Campuses’. As campus activists who have dealt with anti-Israel and antisemitic incidents, protests, and events ourselves, we are angered by the constant narrative of endless support that UJS has supposedly provided us with. Although we believe that a central organisation which formally represents Jewish students is vital for social unity and support, we cannot pretend that UJS have represented us appropriately or efficiently in any capacity. If Israel Apartheid Week has indeed waned in areas that are hubs of BDS activity, such as London, we must recognise that this is not because Palestinian Societies have grown tired. It is also not because of any direct support that UJS has provided us with. Israel Apartheid Week has waned due to the tireless work that Israel activists around the country have put in to do more than the Palestinian Societies. In the past year, we have seen more events with Israeli academics, Generals in the IDF and parties themed around Tel Aviv than events that Palestinian Societies have organised to demonise Israel. 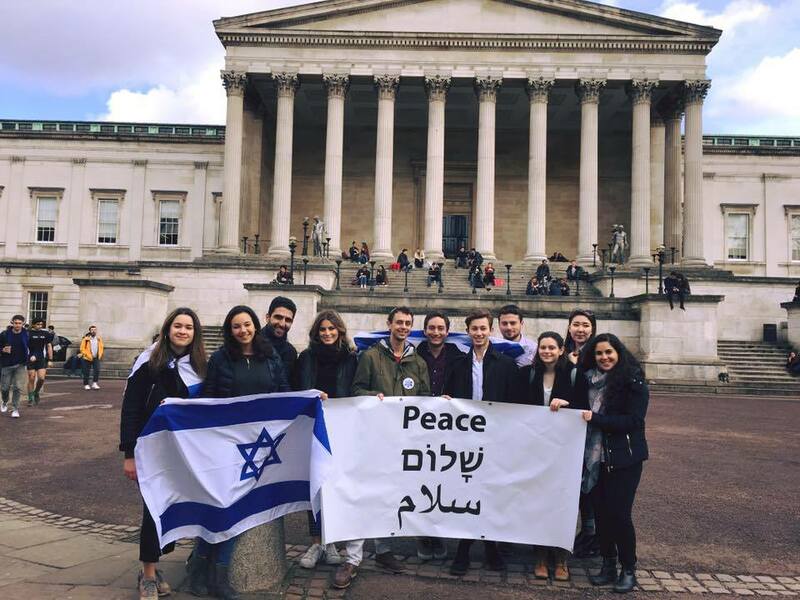 Last year during Israel Apartheid Week at University College London, we woke up at the crack of dawn every day for weeks to ensure we arrived at the Quad before the Palestinian Societies, to hand out falafel and engage students with Israel in a positive sense. It was us, and not UJS, who trained students on how to engage with debating about the Israeli-Palestinian conflict, as well as preparing students on what to expect at their respective campuses in London. Velleman’s article suggests that the key to challenging anti-Israel activity is ‘Jewish students, with unwavering support from UJS’. In fact, the key to changing the anti-Israel atmosphere on campus is Israel activists, putting on events to celebrate and explore Israel. UJS has offered us no encouragement on the dozens of Israel activities we have put on throughout the past two years in London. Moreover, UJS arranged meetings with our university directors behind our backs and damaged the relationships our societies have built with our university managements. 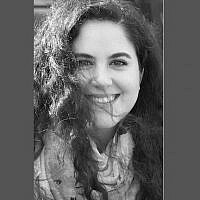 An unfortunate reality of BDS campaigns and protests that we have experienced is how our mental health has been affected. Without appropriate avenues of support from UJS, we are left to our own devices. Anxiety and stress which result from this reality are worsened by the fact that we do not have enough help. However, we have grown stronger in this aspect from learning to depend on fellow Israel activists and Israel advocacy organisations. We have been encouraged not to speak out about this issue. However, we each care deeply for Jewish life on campus and believe that something drastic needs to change when it comes to the narrative of the student union that exists to represent us. UJS as a student union should strive to empower student activists making a difference on campus for Jewish student life. Instead, UJS often seeks to serve an agenda and marginalises voices that do not comply with their vision of Israel activity. As proud, pro-Israel students, we know from first-hand experience that huge problems remain on campus. Recent protests at UCL and KCL in London where student union presidents or sabbatical officers have led chants of ‘from the river to the sea, Palestine will be free’ is unacceptable. The institutionalised anti-Zionist stances of prominent student unions will continue to remain a pressing issue. UJS is so unwilling to recognise the time we have put in to countering the waves of hatred and propaganda, that we have lost faith in this organisation’s ability to lead. We wish for UJS to critically reform their current way of interacting with Zionist students on campus. We are calling for UJS to listen to what activists would like to see happen, we are calling for UJS to show more support towards smaller Israel societies, and we are calling for UJS to be more inclusive and representative of Zionist students. UJS have gone out of their way to represent other Jewish interests, yet have withered away from Zionist students immensely. To go on in this climate is unhealthy for the future satisfaction of students on the ground. UJS should support students based on merit rather than fulfilling their own agenda of favouritism or bias. To conclude, students this week are not walking out to witness ‘nothing’ on campus. Jewish students on campus are organising pro-Israel activity to pre-empt Israel Apartheid Week events that demonise and distort our identities. And we are doing so without UJS’s help.